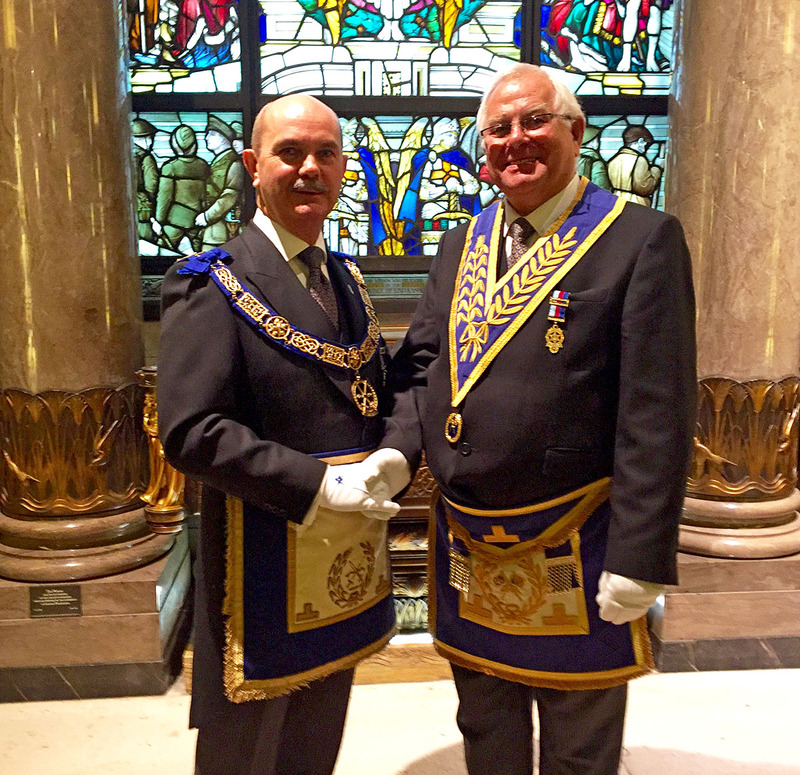 At the annual investiture meeting of United Grand Lodge of England at Freemasons' Hall, Great Queen Street, London on Wednesday 27th April 2016, the MW Grand Master HRH The Duke of Kent KG GCMG GCVO ADC invested two of our senior Brethren with Craft Grand Rank. RW Bro. Archibald Iain Torrance PGM was invested as an Assistant Grand Sword Bearer, one of only two Brethren to hold this office during the year, and W Bro. Ralph Mannings Apperley PGJD APGM was invested as Past Grand Standard Bearer. Archie said: "Both Ralph and I are absolutely delighted to have been awarded grand rank in the Craft. This is the start point for all Freemasons and to receive grand rank is a genuine honour. We are both very happy but humbled that we have been recognised by the MW Grand Master in this way. We are grateful to all our Craft colleagues for their continued support and we look forward to doing what we can to support the Craft in general and our own Lodges and Provinces in particular."